A Leader among moving companies serving northern virginia & washington d.c.
As one of the top moving companies for local and long distance moves in Northern Virginia, count on ShoreView Moving and Storage to move your belongings safely with care. Ensure a stress-free move while working with a trusted moving company. When you handle more than 5,000 moves a year, you need a really, really good process. Call one of Northern Virginia's leading moving companies to help plan your move today! As a premier moving company in Northern Virginia & Washington D.C., we take pride in the ability to move your business to your next space. ShoreView Moving and Storage offers perfect solutions for your upcoming move commercial move. You need a solid team to help with your move because, beyond being stressful, moving is WORK. Here’s where ShoreView comes in. 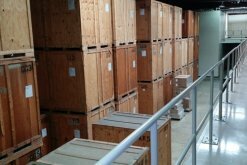 Our climate controlled storage facilities provide secure storage solutions throughout Northern Virginia. We offer Long-term or short-term storage services for residential & commercial customers. Give us a call today! Your price quote is guaranteed! No hidden charges, no up-sells, no added charges. Fill out our online form for your free moving quote! ShoreView is a trusted family-owned business. As one of the leading moving companies in the industry, ShoreView Moving and Storage provides professional moving services to residents in Northern Virginia, Washington D.C., and beyond. 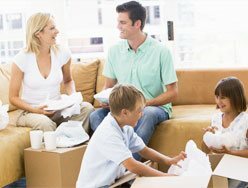 Trust your local Northern Virginia movers to help you with your upcoming move. Whether you need a local move, long distance or an international, ShoreView Moving and Storage is here for you. Give us a call and book your next move today. Thank you all for your seamless coordination! This was my 3rd cross country move, and by far the easiest!